Bus plunges into river killing 34 in one of Vietnam’s deadliest road accidents | Life is short,have fun!!! 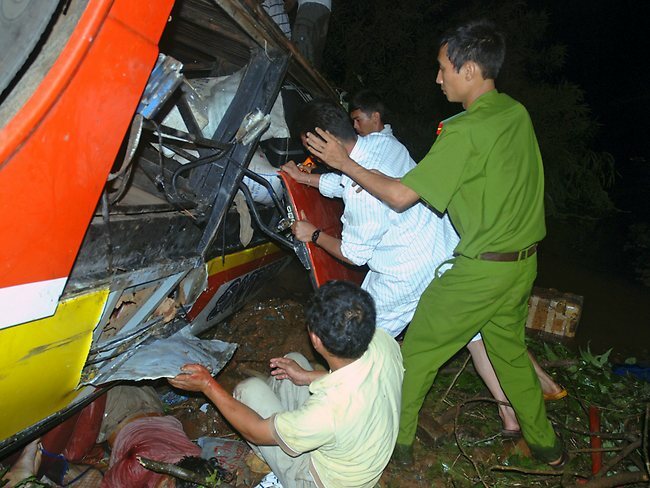 OFFICIALS in central Vietnam say a bus has plunged into a river bank, killing 34 people and injuring 21 others. The bus smashed through the rails of a bridge last night and hit the bank of the Serepok River about 18 metres below, according to local official Tran Bao Que. The bus had been travelling from the central highland province of Dak Lak to the southern commercial hub of Ho Chi Minh City, he said. 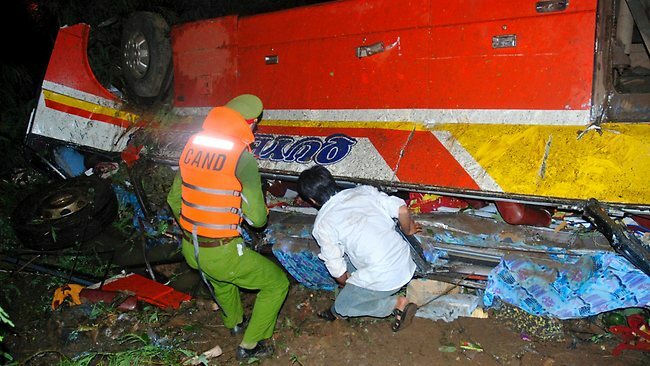 Y Bliu Arul, deputy director of the hospital in Dak Lak, said the bus’s two drivers were among the 32 people who died at the scene. Two other people died in hospital. Of the 21 injured, 16 were in serious condition. Authorities are investigating the cause of the accident.